Too true. Although a historian by trade, I edit for a living, and what spare time I have when neither working nor writing goes to the study of classical ballet, an art that aims for perfection (a special challenge given my age—which is, ahem, well past that of most ballerina wannabes). In the last few months I have also become the main editor and typesetter for Five Directions Press, so I have lots to obsess about. Setting type is an obsessive’s dream job. No matter how many mistakes you correct, some always remain to be discovered. But I have typeset long enough that I feel pretty confident about page composition, something I cannot say about constructing covers. For starters, I am not an artist. I can move things around on a page, but draw? Forget it. Making a star in Illustrator stretches my skills to the limit. And Photoshop, until I encountered Robin Williams and John Tollett’s gift to the hapless, The Non-Designer’s Photoshop Book, headed the list of what I considered necessary evils—a program I suffered through on those occasions when someone sent me a photo or two to accompany an article and got out of as soon as I had checked the resolution and converted the photo to grayscale. But Five Directions Press is a small, indie writers’ cooperative. One member owns a graphic design business, but when it comes to book covers, each of us has to develop her own idea before we can work on it as a group. As a result, my Photoshop skills have improved a good deal in the last three months. 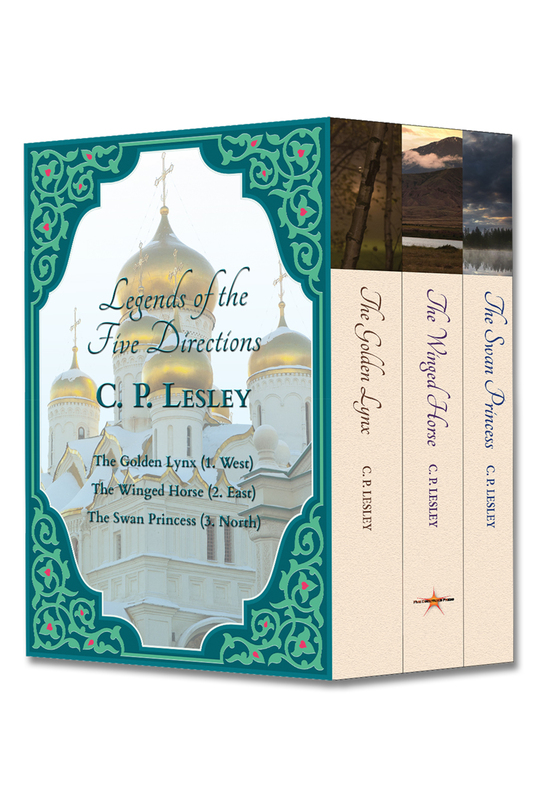 Of course, I could use CreateSpace’s Cover Creator or Folium Book Studio’s cover creation tool. And I do. But although many of the prefab templates and stock images are lovely, my obsessive self wants more control over placement, font, pictures, background, and the like. So I tend to create my covers in InDesign—using files massaged in Photoshop—then port the finished covers into the cover creation tools. But even the best cover, tweaked to a fare-thee-well, requires at least one good image. Which brings up the question of copyright. There has been a bit of a fluff in the blogosphere since Roni Loren courageously posted her experience with accusations of copyright infringement regarding her blog (you can find that post here). Natalie Collins, among others, followed up with a copyright violation tutorial on her blog. Kristen Lamb has set up a free-use site on Flickr for her WANA (We Are Not Alone) authors. The whole discussion is proving highly educational. Unlike some of the people who commented on these posts, I knew that most of the images pulled up through a Google image search cannot be used on a cover, blog, or anywhere else without violating copyright. One of my own images, created for my Not Exactly Scarlet Pimpernel and used as a symbol on my website, is now floating around the Web and even appears on a cover on Amazon.com (I tried to complain, but the “report images” button didn’t include an option for “report copyright infringement”—are you listening, Amazon.com?). And although I had created a lovely cover for my forthcoming Golden Lynx, I felt uneasy about using it because I had included a film screenshot to represent my heroine. Film screenshots are considered fair use, so the cover might be okay. Still, I didn’t want to discover somewhere down the road that it was not. So, out of fellow-feeling and a desire to do the right thing, I went out of my way to find images that were either public domain or Creative Commons and to observe the terms of the CC license. Following a link in Natalie’s blog post, I purchased a five-image package from Shutterstock and downloaded three shots of girls who resembled my mental image of my heroine, then settled on the one I liked most. Yet despite all this care and effort, I almost blew it. Why? Because I had forgotten that the absolutely gorgeous shot of a Eurasian lynx that I would have sworn came from Wikimedia Commons actually did not—or if it did (I have it stashed in a folder labeled Public Domain Pics), the photographer has since removed it. Only a last-minute obsessive check revealed the mistake I had made. A Google search turned up the name of the original photographer—on a site I had never visited before—and another round of Photoshop editing produced a viable, if not quite so gorgeous, substitute. All’s well that ends well, as they say. The Golden Lynx will go to press in late summer/early fall with properly credited, acceptable-use images. Yet there is a cautionary tale here: even photographs you feel certain are public domain or Creative Commons may not be. If you want to stay out of trouble, check before you download and keep a record of anything you intend to use, especially for commercial purposes. I certainly plan to do that from now on. Even if no one sues you, peace of mind is well worth $10 to Shutterstock or the equivalent. And you can bet I'll be monitoring the pictures I pin to Pinterest, too. Because I wouldn’t want someone stealing my work. Would you? New review of "Not Exactly Scarlet Pimpernel"
I very much liked this book. Very well written and and it has adventure, romance and humour. I didn't think I would like this book but I always like to give books a chance. I must say it got me hooked from the very beginning and actually made me want to read The Scarlet Pimpernel by Baroness Orczy. I highly recommend this book even if you haven't read The Scarlet Pimpernel by Baroness Orczy. You can find this review—and more of Chantale's reviews, at http://www.geekygirlreviewsblog.com. For as long as I can remember, I have loved history. So even though my first efforts at novel writing happened to involve science fiction, it was pretty much inevitable that as soon as I settled down and got serious, I would turn to the past. My first published novel can be considered a bridging story—contemporary technology applied to a classic tale set during the French Revolution, with a double romance (past and present) and a dash of humor as the expectations of the present clash with those of past. But from here on, it’s history all the way. History offers a novelist certain advantages: no police force to interrupt crimes in progress; no awkward modern devices that make it impossible for characters to miss one another like proverbial ships in the night; no handy-dandy fingerprinting or DNA tests to bring a long, winding mystery to a screeching halt on page 3; lots of warfare and skullduggery to keep a novel moving. But history also has one big disadvantage: as a writer, I can’t assume that basic things that I take for granted existed in the past. Things like the germ theory of disease, the understanding of gravity, the eternal existence of Russian nesting dolls (as a lovely friend pointed out to me when she read one of my drafts, they first appeared in 1898—who knew?). Hence the need for—and, I must admit, the fun of—research. Moreover, historical research of the type needed for a novel is not always easy. Sources seldom record what things smelled like or sounded like or even looked like; they tend to focus on higher matters of state and society. When I decided my plot required me to poison a character, I had several fundamental questions to answer. What poisons were available in this particular region in this particular year? If I picked a food-based poison, how would the criminal get the poison past the tasters and into the victim? Which of the available toxins produced the right symptoms with the right timing? And given the complete absence of chemical testing, who would detect the crime and find the solution? People knew about poison in the 16th century. Indeed, they often suspected it in any case of severe gastric distress. (Another favorite explanation was witchcraft.) But plausibly identifying which poison and how the victim ingested it required skills few people had. And even if I could call the local police station and ask (hardly a good idea), their answer would not tell me how people living in the 16th-century steppe would handle the problem. Enter a wonderful book called Deadly Doses: A Writer’s Guide to Poisons. Within two hours I had six different plants that might reasonably have found their way into my unfortunate character. Now I only need to finish Medieval Islamic Medicine and a guide to shamanic practice to develop a sense of how my other characters would have responded to this situation. Writers, like everyone else, have preferred styles of working. Some (“plotters”) work out every detail before they craft a single line of dialogue, expanding their initial premise into ever-longer outlines until the story writes itself. Others (“pantsers,” as in people who write by the seat of their pants) embark on a journey of discovery toward a distant shore, guided by the stars and their muses. Devotees of the “snowflake” method combine the two, plotting and pantsing as the mood takes them. My first attempts at writing fiction were pure pantser. One day I had an idea for a scene, wrote it down, and soon had a quarter of a novel. In those days, I had no idea what I was doing, but I persevered. When I finished the manuscript, I showed it to a friend; she had comments; I revised and tried again. And again. And again. When I couldn’t face any more revisions, I gave up. Five years later, I had another idea, wrote a rough draft in three weeks, showed it to another friend, and began the whole process anew. The good news is that I just published the second book. One day, I may even salvage the first one. But the tally was daunting: five years, no result on book one; four years leading to eventual publication on book two; and three years plus on book three, now ready for print. If I wanted to finish my five-part series before hitting Social Security, I needed a better plan. In the interim—halfway through book two, in fact—I had discovered Storyist, a Mac-only program that combines data management (characters, plot, settings, notes, research, images) and word processing. In the beginning, I didn’t do much with it except record character and setting information, take notes, and edit text imported from Microsoft Word. I embraced images when they became available. But plot? I had a plot! Besides, I was a pantser. Who needed to plot? I did, as it turns out. As I sit down today to write the first pages of my new novel, The Winged Horse, I have an outline covering the entire plot, specifying the main conflicts at each step, and adding a custom field that reminds me of details I need to include (O’s reaction to news that his mentor has died, e.g.). I have descriptive sheets with story goals, physical descriptions, personality strengths/weaknesses, and images for every character as well as sheets with sounds, smells, sights, and images for each setting. Each of these sheets is or can be linked to the others, allowing me to track stages of character development for multiple characters or explanatory notes to plot points. And Storyist has a tightly integrated iPad app, so I can edit on the couch in the evenings (vital when work takes over my days) and sync my files over the air with Dropbox. I still need to feel my way into the sensory details and emotional experiences as I go, but I find it incredibly reassuring to know I have a story structure that works. Storyist is not the only alternative for writers. Scrivener gets a lot of press; it has Mac and Windows versions but as yet no iPad app, and it’s a worthy program, too. Some people (pantsers?) prefer it because they find Storyist’s prepopulated sheets inflexible. But for pantsers learning to plot, or plotters or snowflakers who plot first and write later, those prepopulated but customizable sheets are an invaluable resource. They encourage you to ponder what conflict this plot point produces, how those woods smell, what your hero(ine) learned in this chapter, whose point of view you need for this scene. If you hate the sheets, you can hide or delete them, but if you do, you strip Storyist of much of its power. To find out more, visit www.storyist.com or stop by the Storyist forums. Reviews of "Not Exactly Scarlet Pimpernel"
The reviews are starting to come in, and so far they are good! C.P. 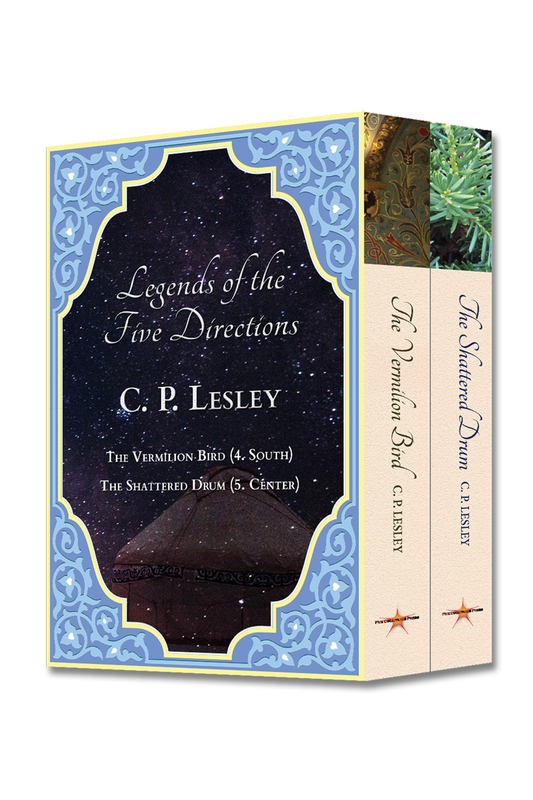 Lesley has successfully mated a romantic adventure with cutting-edge science fiction without befogging the reader with ether technobabble nor the stilted language of 18th-century heros. Her unique slant on total immersion VR is a treat and would alone earn my recommendation. 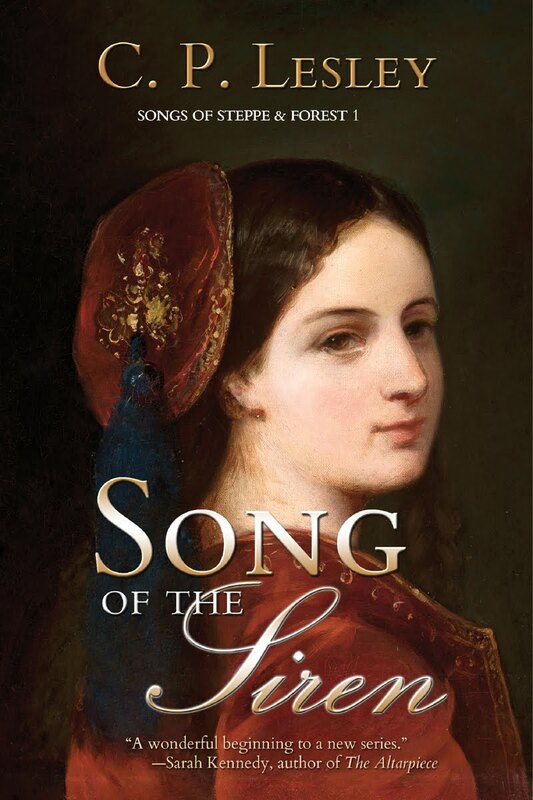 That she brings the period alive makes this a must-read for fans of the Pimpernel. Placed into the body of France's most beautiful actress, our heroine (a Ph.D candidate) first dismisses her host as a birdbrained fool but soon comes to think of her as a sister. Together the two must work with the period's most swashbuckling hero to defeat the darkest villain of post-revolutionary France. Not to mention, win the game and her teacher's respect. If you're not into "chic lit" then know that the humor of a 21st-century graduate student trapped in the mannered world of 18th-century Europe is priceless. Adventure, romance, humor--an unbeatable combination. The down side? The occasional French phrases are like little stumbling blocks for those of us not fluent in the language. But you can ignore them without losing any of the story. On the other hand, you can look them up and build your vocabulary. It is important to note that you don't need to have read The Scarlet Pimpernel (by Baroness Orczy, 1905) to enjoy Lesley's book but it does help. Things get more interesting when the VR explorers step away from Orczy's plot and have to improvise. This is where Lesley shines. 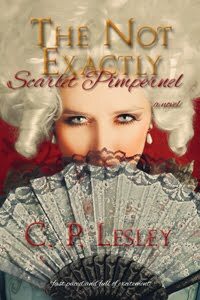 The Not Exactly Scarlet Pimpernel, by Catriona Lesley, is original, witty, suspenseful, and engaging. Anyone unfamiliar with the original Scarlet Pimpernel will have no problem understanding what's happening because the author has explained it in the opening chapters. When the simulation game in the story begins, the reader is engrossed in the plot and fascinated with the development of characters and relationships. The nuggets of historical data picked up along the line enrich the reader's experience. I've recommended this book to several friends and am now re-reading it myself. As soon as I read a blurb about The Not Exactly Scarlet Pimpernel, I knew I wanted to read it. The Scarlet P. is one of my all-time favorite historical novels, with a great mix of romance and derring-do. C.P. Lesley came up with the wonderful concept of allowing modern-day students to take part in a reenactment of TSP that would literally involve them in the action, thanks to the sort of industrial magic that made Andy Serkis into Gollum. The first-person narrator, Ninel Pennington, swans around in the body, costume, and milieux of her character, Marguerite, but also has Marguerite talking to her in her head. Will Marguerite be able to overcome the aloofness of her husband, Sir Percy Blakeney? Will the Scarlet Pimpernel escape the clutches of the villain, Chauvelin? We're not sure, because the "actors" now have the power to change the plot. It's all very well done, and Ninel's own story parallels Marguerite's with Sir Percy very nicely. I'd like to see more from this author. Highly recommended. History, fiction, computer games, romance—this debut novel is a lighthearted, funny, at times touching exploration of a common readers' fantasy: to relive, and perhaps rewrite, a beloved novel. A group of grad students vying for the approval of the top professor in their field compete to come out ahead in the classic action adventure romance The Scarlet Pimpernel. In doing so, they create a new story. And no, you need not know anything about the original to enjoy the remake: the author explains the essentials in the first few chapters. A great summer read! All my favorite things in one tale: the French revolution; romantic subterfuge; misunderstood heroes and time travel! I admit it: I am a latecomer to the world of social networking. A few years back, I joined LinkedIn, where a local writers group had congregated. Today I still have fewer than 50 connections, and if my college hadn’t set up a group for its alumnae association (with a subgroup for writers and editors), I would never visit LinkedIn at all. Facebook puzzles me even more. It seems so vast, so omnipresent, so wildly in flux. It changes its policies and appearance without warning, often with no obvious benefit to its users. The news feed, even with my tiny network, scrolls by so fast I miss half the posts. As for Twitter, the mere thought of navigating thousands of 140-character tweets makes me cringe. The one social network I “get” is Pinterest, which I have loved from the moment I saw it. As a historian, I write about times and places—revolutionary France, 18th-century London, 16th-century Russia, the remnants of Genghis Khan’s empire—unfamiliar to many people, so having a place to post pictures strikes me as a great resource for my readers. And for me: even before I discovered Pinterest, I spent far too many hours searching the Web for images of my characters and settings. I have tons of material to share and get a kick out of sharing it. So Pinterest and I hit it off right away. The word on the street is that Pinterest focuses on food, hairdos, and fashion, but that description doesn’t apply to me. I have nine boards of my own, plus one that someone added my name to, and seven of them relate to books. My books, other people’s books, writing books—books. But Pinterest is a separate story. This blog post involves Facebook—specifically my efforts to set up a Facebook account devoted to my novels. The problem was my pen name, which uses initials: C. P. Facebook does not like pen names; it wants all its users to give their real names. Perhaps for the same reason, it also does not like initials, as I discovered when it informed me that my proposed name had too many periods. By the time I figured out that I could have dropped the periods and called myself C P, I had already caved, established the account as Catriona Lesley, and accumulated a small number of friends. I decided to let Catriona stand and set out to build a network. Finally, yesterday, by watching another author’s skilled maneuvering of the system, the penny dropped. I discovered the secret. Catriona has set up an author page for her alter ego, C. P. Lesley, with links to her blog posts and Web site and relevant Pinterest boards. Apparently, Facebook permits initials with periods so long as they are on author pages and not user accounts. Who knew? You can find the page at http://www.facebook.com/cplesley.authorpage/. If 25 people show up and “like” the page, Facebook will consider it permanent and issue me a user name. 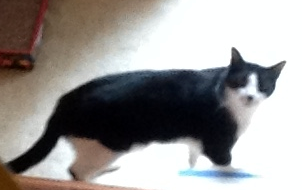 And please feel free to “friend” Catriona Lesley or follow her on Pinterest. She values every one of her friends and is always happy to expand her network.